Will the Real Mr. Reese Please Reveal Himself? Say hello to this handsome Welsh stranger. That appears to be all John Reese is... though one Ancestry.com researcher seemed to think he was father to Colt's great-great grandmother, Jannett Louise (Reese) Morgan. Which Reese is Right? Daniel, Undoubtedly. I’ve written before in this space about what a luxury it is to have the bulk of my ancestors hailing from the “great state with 88” — counties that is, as in Ohio. Ohio has not only kept judicious records of its residents, its “open-access” approach to digitizing and sharing those records online ensures that descendants can find the information they need going back well over a century, whether for genealogical purposes, assembling critically-valuable health histories, or what-have-you. I’ve just as often lamented that certain of our ancestors wound their way through or to Pennsylvania. That state, though one of the original 13 British colonies, and steeped in even more history than my beloved Ohio, will put the average family-history-seeker through labyrinthine back channels in its bureaucracy simply to track down a birth, death or marriage certificate. That is, when Pennsylvania isn’t simply cutting you off completely. It’s mighty irksome, for example, to have to explain that, no, a century after your great-great-grandmother passed away, you aren’t seeking an illegitimate claim on her long-since-resolved will. Or to have to navigate through the various layers of government — township, city, county, state — only to be deposited at a pay-for-record service like VitalCheck, where more forms await. 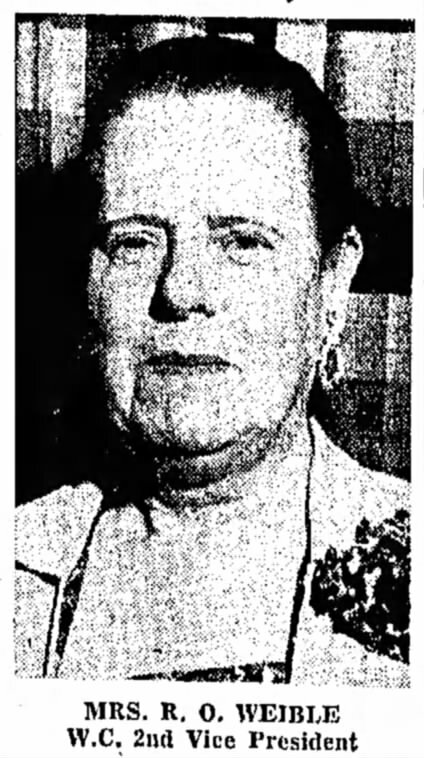 But I finally got my scissors sharpened and made a run at all the red tape, the better to solve a mystery — or at least, a misunderstanding — regarding the parents of my second great-grandmother, Jannett Louise (Reese) Morgan. 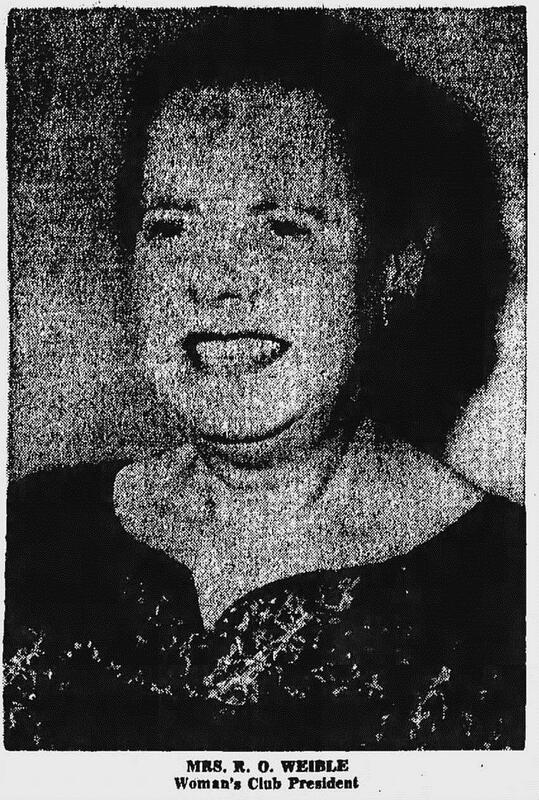 * International records searches at Ancestry.com established the marriage of Jannett Louise Reese to Thomas W. Morgan on Oct. 15, 1872 in Philadelphia, Pa.
* The 1900 census establishes the family as we know them living in Carnegie, Pa, and records Jannett’s immigration date (from Wales) at 1870. 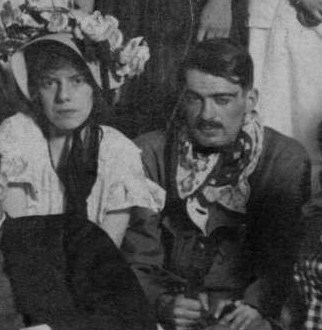 Jannett is recorded as married 25 years, but a widow now, which puts Thomas’s death year as 1897. * The 1880 census finds the earlier version of the family living in Apollo, Pa. (Armstrong County) where Thomas W. is employed as a “heater” in the steel industry. 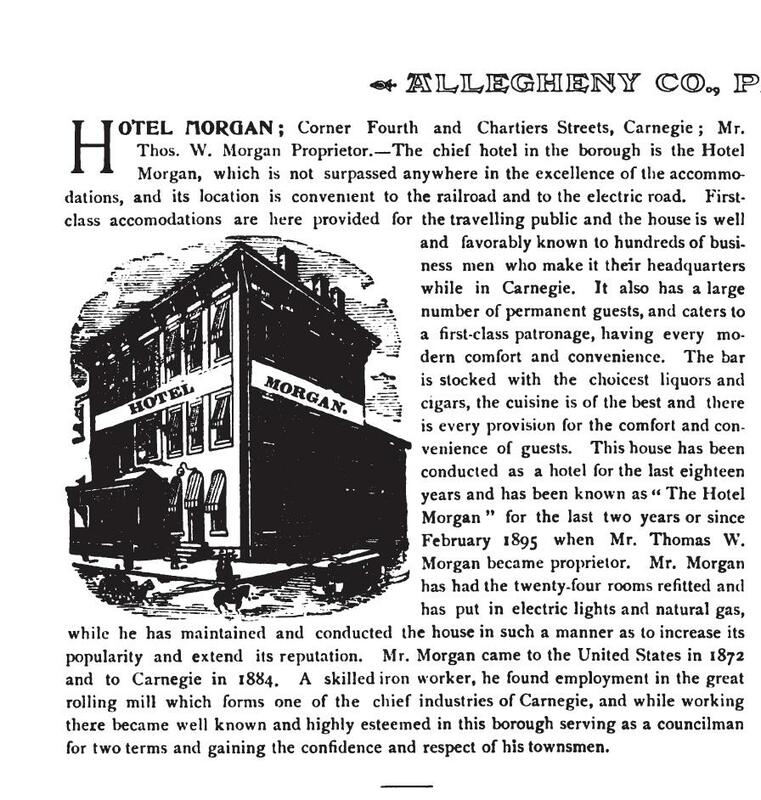 * A Google Books search turned up the 1896 edition of Allegheny County, Pennsylvania; Illustrated, and an entry on the Hotel Morgan and its proprietor, Thomas W. Morgan. 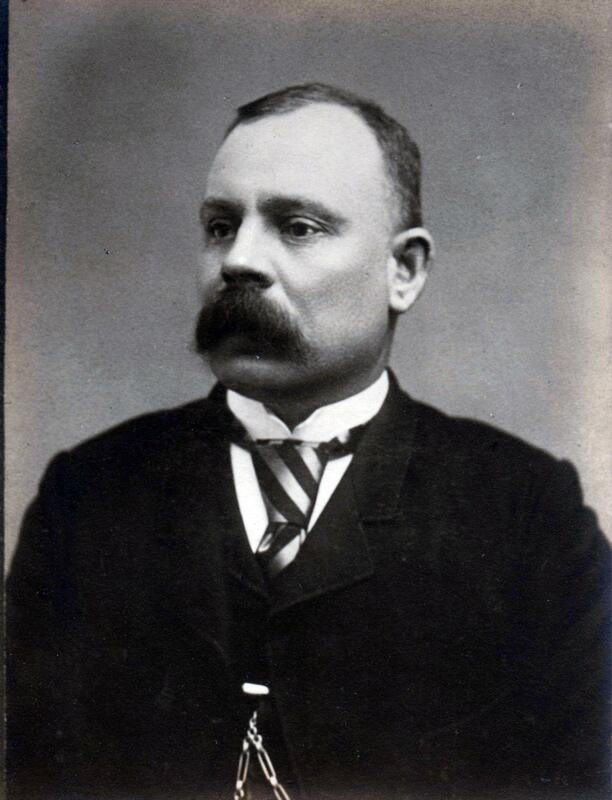 His emigration from Wales in 1872, as well as employment in the steel industry and political activities are noted. * Searches on FindAGrave.com revealed the Morgans’ burial in Chartiers Cemetery, Carnegie. Photographs of their monuments set Thomas’s death date as Oct. 17, 1897 and Jannett’s as Feb. 16, 1914. 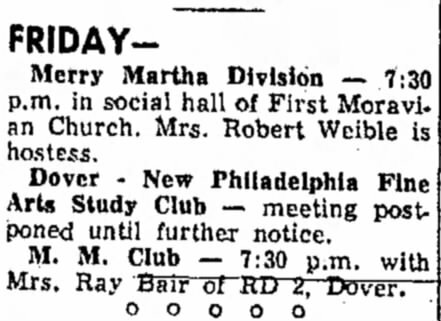 * Both deaths are written up in the local paper, and Jannett’s is also given coverage in the Dover, Ohio Daily Reporter. 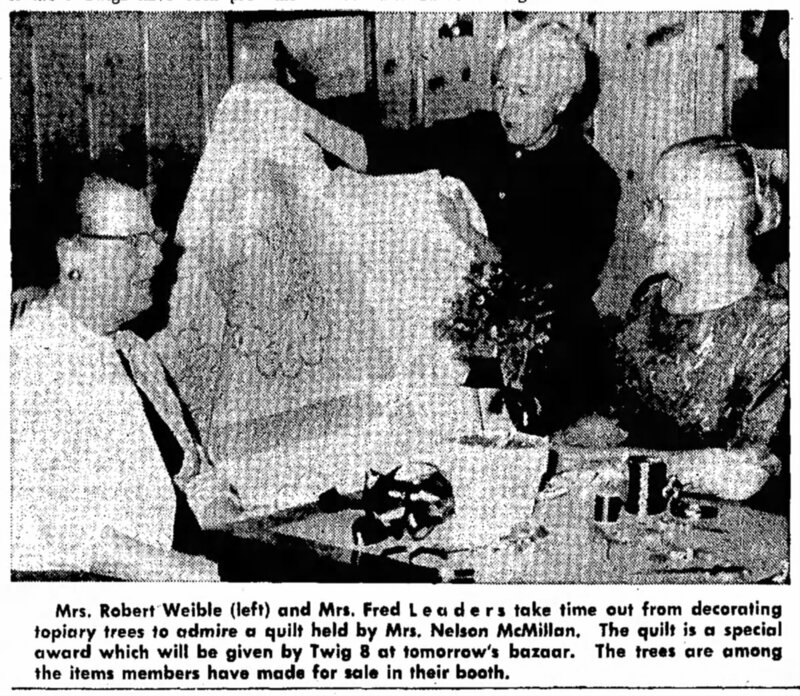 Unfortunately, none of the obituaries so much as mention family beyond children — there is no mention of their Welsh ancestry or parents. So, for a time we knew quite a bit about our Morgan ancestors of Pennsylvania. But going further back, I was stymied by Pennsylvania’s white-knuckled grip on the actual documents (not to mention thePost-Gazette’sarchaic obit format). I’ve also been stymied — let’s admit it — by my own cheapness regarding premium “international” subscription rates on Ancestry.com. Only having the U.S. membership, I’ve been unable to view actual digitized records from Wales and other countries abroad. I’ve justified my reluctance to upgrade by being all too familiar with the constraints on my time — even if I had the enhanced membership, I wondered if I’d be organized enough to justify it. Preparing for such searches takes time, too. But connecting with other members on Ancestry.com is otherwise free. And sometimes quite fruitful. 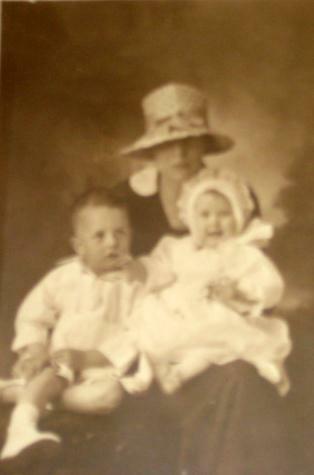 In this case, I came across a researcher who place my great-great-grandmother Jannett as daughter to a John Reese and Margaret Lewis. 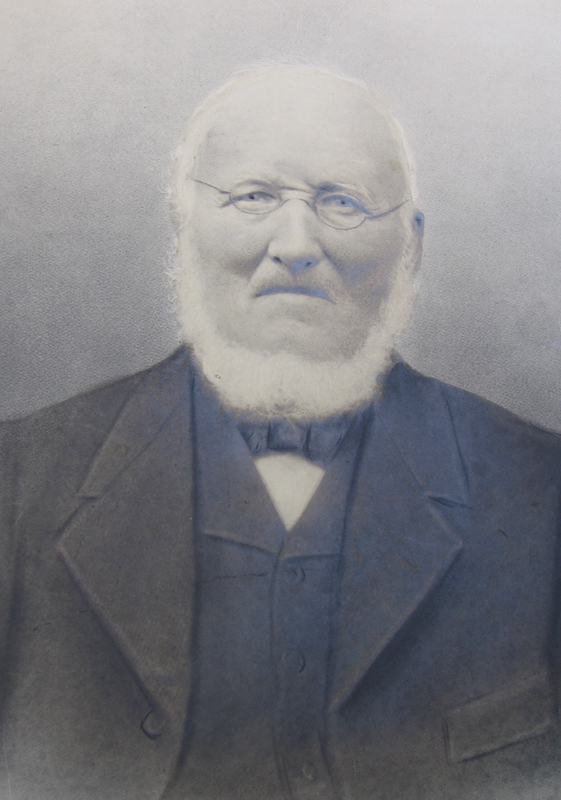 John, pictured above, was born about 1823 in Dyllgoed issaf, Llanarthne, Carmarthenshire, Wales. 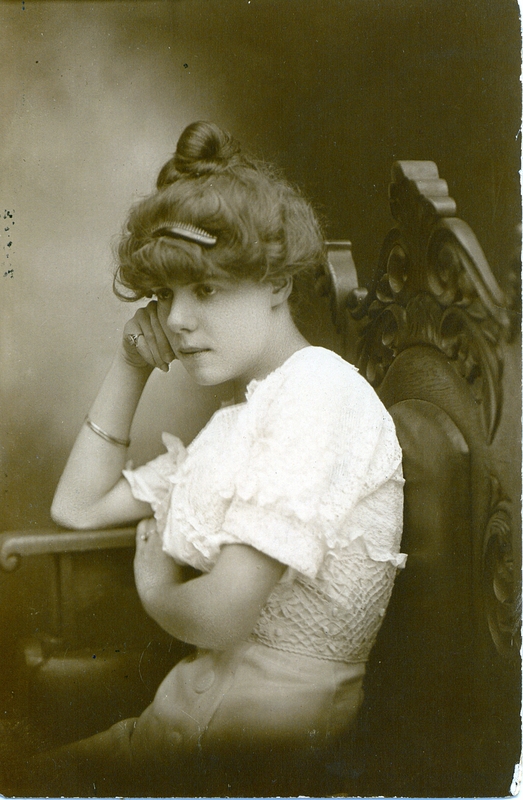 Margaret was born about 1822 in Abergwili, Carmarthenshire. The researcher records a close year of birth — 1848 — for Jannett, and shows several censuses — 1851, 1861 — that show her residence, and presumably her family’s, in Merthyr Tydfil, Glamorgan. A fit? Not quite yet. The puzzle pieces seem to gnash and fray when exploring the information attached to Jannett’s alleged siblings. One, Mary, a supposed twin, is also born in 1848, but in Carmerthenshire, where she also appears on census of 1851 and 1861. Whereas, Dad and Mom are alternately located in Carmarthenshire (1851) or Glamorgan (1861 onward). All this could be true. Or it may not. Not being able to actually examine the census records made me hold off on connecting Jannett to any ancestor back in Wales. And so I finally ponied up the dough and did the official records dance for the Commonwealth of Pennsylvania. Though I can’t scan and share Jannett’s death certificate here, I can divulge some of its contents. And they point to a different ancestry than, well, our friend at Ancestry.com. * Her cause of death is reported as cerebral hemorrhage, with chronic nephritis contributing. 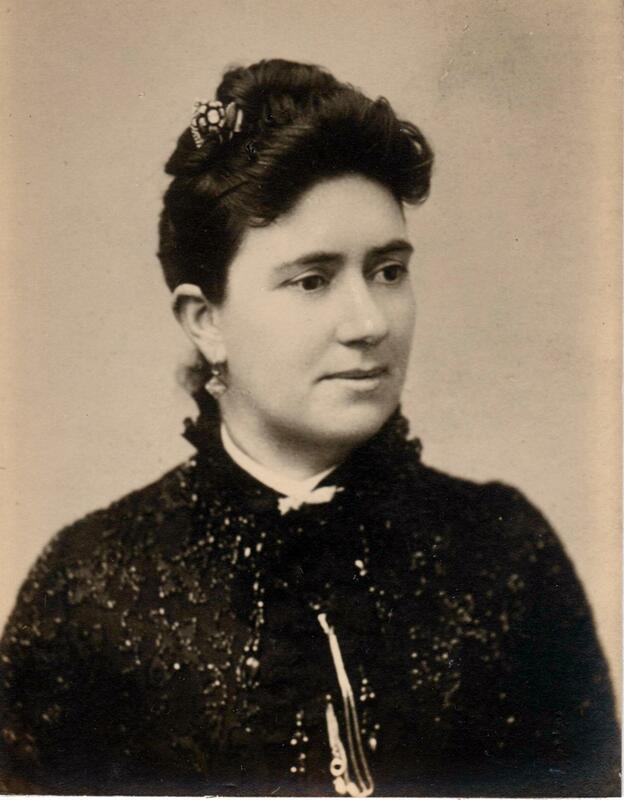 She was treated by her physician from Nov. 8, 1913 through her date of death. * And her father, is reported asDaniel Reese. NOT this stranger John. Which probably explains the middle name of her first child, William Daniel Morgan (and may point to a further clue about Thomas William’s father), and is a nice connection to my brother, Daniel Morgan Foutz. As for Jannett’s mother, the certificate reports “Don’t Know”, with her mother’s birthplace (not surprisingly) as Wales. 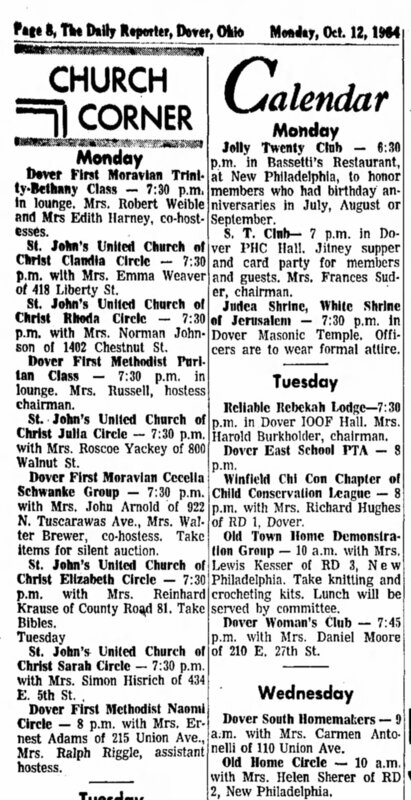 Now, Jannett’s obit in the Post-Gazette carries instructions to copy to the Dover, Ohio and Philadelphia, Pa. papers. 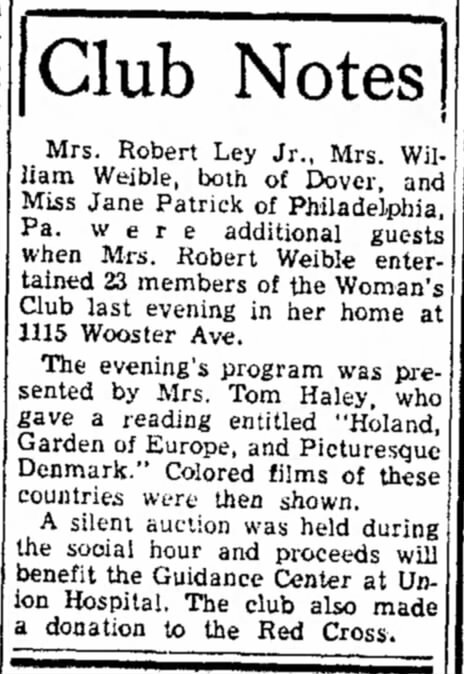 We know her family in Dover (daughter Jennet May (Morgan) Richardson and, eventually, my great-grandmother Beatrice Ethel (Morgan) Weible) — could she also have siblings in Philadelphia? Or is that where her parents also landed? Probably all of this can be cleared up with a quick phone call to our Neely cousins, who have already shared stories of the trips Jannett used to take with her eldest daughters back to Wales, presumably to visit family there. And now, at least, we know the name of her father. 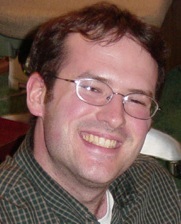 Daniel Reese it is. 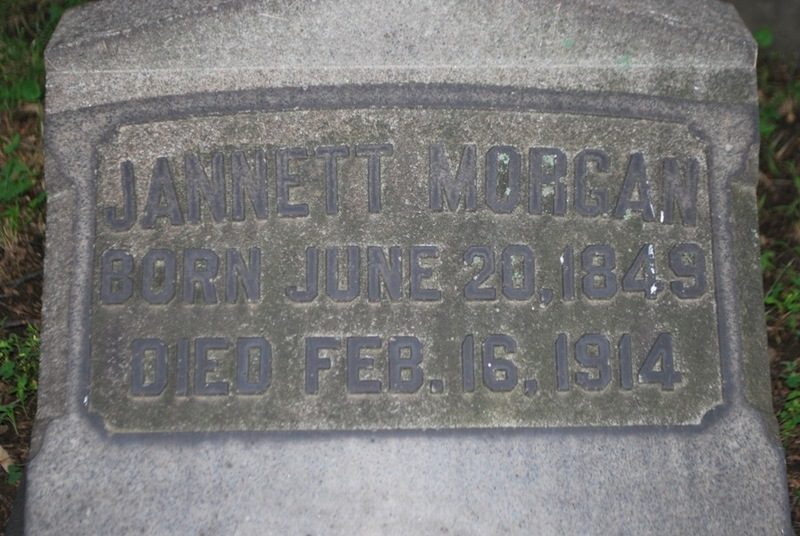 Colt's great-great grandmother, Janet Morgan, is buried in Chartiers Cemetery, Carnegie, Pa.